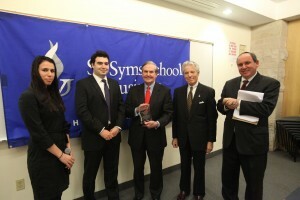 Each year, The Doris and Dr. Ira Kukin Entrepreneurial and Executive Lecture Series invites a roster of business leaders, entrepreneurs, trailblazers and innovators to visit the Sy Syms School of Business where students have the chance to hear from and dialogue with some of today’s influential leaders. 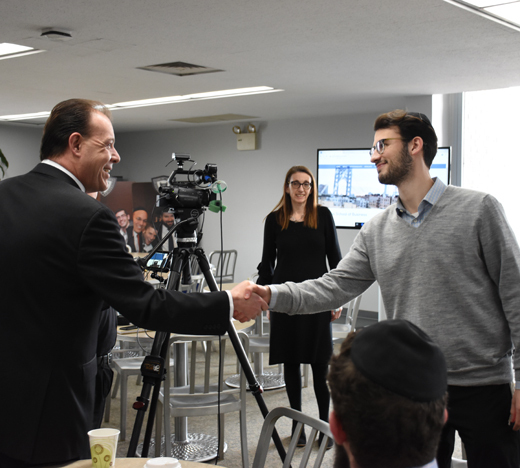 On Friday, March 3, 2019, New York City Council Member Mark Gjonaj met students in the Sky Cafe to talk about the virtues of small business entrepreneurship and the lessons he has learned from the life he has lived. 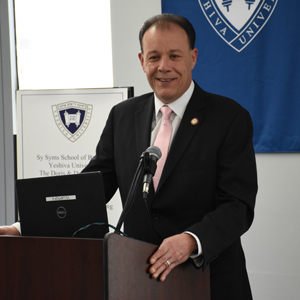 Gjonaj represents the 13th Council District in the Bronx (which includes the Ferkauf Graduate School of Psychology). Prior to joining the Council in 2017, he served as New York State Assembly Member for the 80th District from 2012 to 2017. He has also worked as the Bronx Commissioner of the New York City Taxi and Limousine Commission and is the former CEO of M.P. Realty Group. His parents’ moral support and his drive to excel “is what convinced me to go into politics because it is only possible to make changes to the system from the inside.” As chair of the Council’s Small Business Committee, he wants to improve the long-term viability of small businesses, especially those he calls “microbusinesses,” the mom-and-pop stores that “are vital to the success of New York City” and the country as a whole. 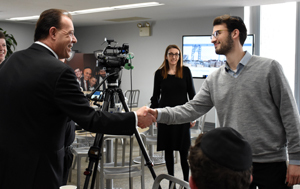 His goal is to be “a voice for the backbone of the country,” working to reduce what he believes are excessive regulations that make it difficult for these businesses to remain competitive. 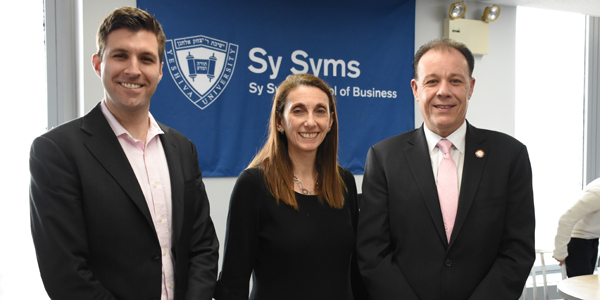 The next Kukin Lecture will be given on Wednesday, March 27, 2019, by Len Rosen, CEO of Barclays Israel. For more information, contact Debra Pine or see the event calendar.